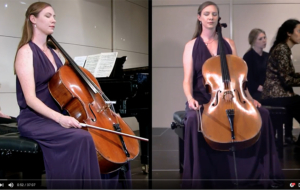 In 2014 MOST® launched the Australian Cello Awards which featured as its main prize, the Allen-Evans Scholarship, the result of a bequest by sisters Mary Allen and Betty Evans. The mission of The Australian Cello Awards (ACA) was to provide opportunities for Australian and New Zealand cellists and to advance their careers as orchestral cellists, chamber music artists or soloists. Along with the Allen-Evans Scholarship, valued at up to AUD $15,000, competitors in the Cello Awards were eligible for a number of other scholarships, awards and prizes specifically designed to help the career development of cellists aged between 18 and 30 years. When MOST® took carriage of the Young Performers Awards (YPA) in 2016, it was decided that the Australian Cello Awards would be merged with the YPA and the Allen-Evans Scholarship would be offered to a gifted young cellist. 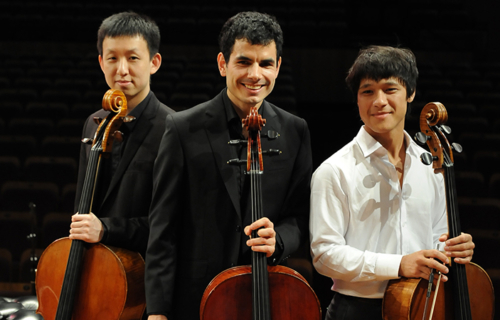 The Finals of the 2014 Australian Cello Awards were held in the Verbrugghen Hall, Sydney Conservatorium of Music on Sunday 30 March. Yelian gave stunning performances of Schulthorpe's Threnody for Solo Cello, Felix Mendelssohn's Sonata No.2 in D major and David Popper's Elfentanz Op.39. He was accompanied by gifted young pianist, Yasmine Rowe. Yelian was named the Winner by an eminent panel comprising John Painter AM (Chair); Susan Blake; Catherine Hewgill; Goetz Richter; Benjamin Schwartz; and Nathan Waks. "I was elated to perform at the Awards Concert… the entire process has been a remarkable and fulfilling learning experience… my thanks to all involved..."
The Semi-Finals of the 2014 Australian Cello Awards were held in the Princess Alexandra Hall of Royal Over-Seas House in London on the 28th October 2013. 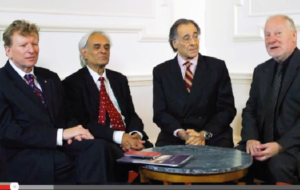 The Adjudication Panel was comprised of Roderick Lakin MBE (non voting), Rohan de Saram, Piers Lane and Geoffrey Simon. "I was impressed by the high standard… and congratulations to the Finalists selected to proceed to the next and final Round of the competition..."
The Allen-Evans Scholarship was the premier award of the Australian Cello Awards. 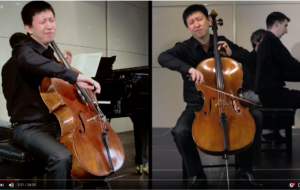 The 'Allen-Evans' recognises both the achievements and performance potential of an Australian or New Zealand cellist aged between 18 and 30 years. As of 2017, the Allen-Evans Scholarship is offered in the Young Performers Awards. The winner of the Scholarship receives a limited-edition bronze statuette designed by artist Drago Cherina. The Allen-Evans Scholarship was established through a generous bequest by sisters Mary Allen and Betty Evans. Mary Allen became a client of Gridiger Lawyers when her only son died. Following the death of her husband she devoted herself to supporting the community. Mary had watched Roland Gridiger develop the Marianne Mathy Scholarship, which became the foundation of the Australian Singing Competition, a competition for young opera and classical singers. As a philanthropist Mary Allen became a prize giver of The Australian Singing Competition. She introduced Roland to her sister Betty Evans. Betty bequeathed funds to establish a prize for a cellist and following Betty’s death Mary also decided to support the prize for a cellist. With the help of cellist and educator John Painter AM rules for the awarding of the Allen-Evans Scholarship were established. The Music & Opera Singers Trust Ltd. (MOST®) then further developed the Allen-Evans Scholarship as a competition for young Australian and New Zealand cellists, leading to the establishment of the Australian Cello Awards. If you are interested in making a similar bequest, legacy scholarship or programme, MOST® can provide fantastic opportunities for you to support our next generation of artists.